Froth Treatment is a process by which water and fine solids are removed from bitumen froth produced in Extraction using a hydrocarbon-based gravity separation process. 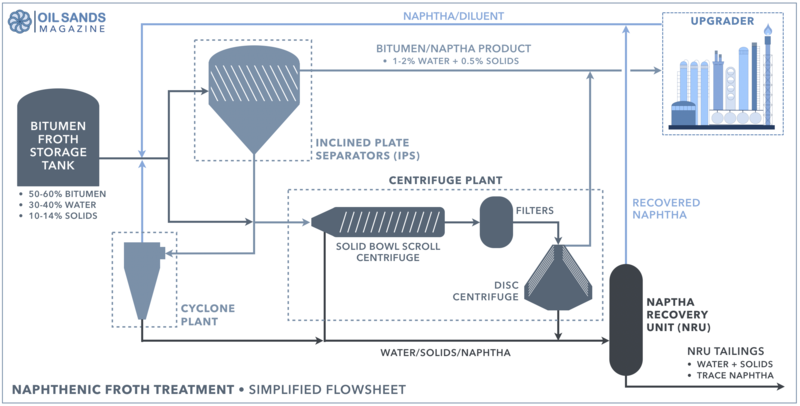 In a Naphthenic Froth Treatment (NFT) process, a naphthenic diluent is added to the froth, producing a relatively clean final product that can be upgraded into crude oil. Bitumen froth produced in Extraction is typically 60% bitumen, 30% water and 10% fine solids. This product requires further cleaning before the bitumen can be upgraded to crude oil or sold to market. Since no further cleaning can occur by water-based gravity separation, a light hydrocarbon is added to the froth in order to reduce the viscosity of the bitumen and enable a more effective gravity separation. This process is typically referred to as Froth Treatment. There are 2 types of Froth Treatment processes used in the oil sands: naphthenic and paraffinic. The difference lies in the type of hydrocarbon used to dilute the bitumen froth. Solvents containing primarily paraffin hydrocarbons are called paraffinic. Solvents containing primarily naphthene hydrocarbons are called naphthenic. The choice between a naphthenic or paraffinic solvent used in Froth Treatment depends on the desired product quality. Solvents that contain more paraffins produce a better quality product than solvents that contain more naphthenes. Naphthenic Froth Treatment (NFT) is the original Froth Treatment process used in the oil sands mining industry, and continues to be the more common technology of choice. The quality of bitumen produced from an NFT facility can be relatively poor, often containing 1 to 2% water and up to 1% fine solids. This bitumen produced is required to be upgraded into a higher quality Synthetic Crude Oil (SCO) before it can be solids to refineries on the open market. Since the diluted bitumen produced from an NFT facility is not a final saleable product, bitumen quality is not a huge concern and can vary from day to day. However, large amounts of water and solids in the bitumen can be harmful to the upgrader. Many operators have modified their NFT process over the years to improve the quality of the final product. The original Suncor and Syncrude Froth Treatment facilities comprised of dual-stage centrifugation. Centrifuges impart a high gravitational force (g-force) on the bitumen/naphtha mixture by spinning at high speeds, enabling effective gravity separation of the water and solids phase. Solid bowl scroll centrifuges were used to remove the coarse solids, typically anything larger than 44 microns. Nozzle disc centrifuges remove most of the water and some of the finer solids (smaller than 44 microns). Filters are installed upstream of the disc centrifuges to remove any solids that might block the centrifuge nozzles. The end product contained a significant amount of water and solids, sometimes as much as 5%. The centrifuges also proved to be very high maintenance due to wear and tear from the spinning components. The high water content of the bitumen product created challenges for the upgrader. Water carries with it dissolved salts and chlorides which corrode critical upgrading components. As a result, inclined plate separators (IPSs) were later added as a primary cleaning step at both Syncrude and Suncor. These stationary IPSs are cone-bottomed gravity separation vessels with internal plates that provide extensive surface area for settling the solids and water fractions. They produce a good quality overflow, relatively low in solids and water (less than 2%). But the IPS underflow still contains a significant amount of bitumen and naphtha, which still needed to be processed through the centrifuge plant. 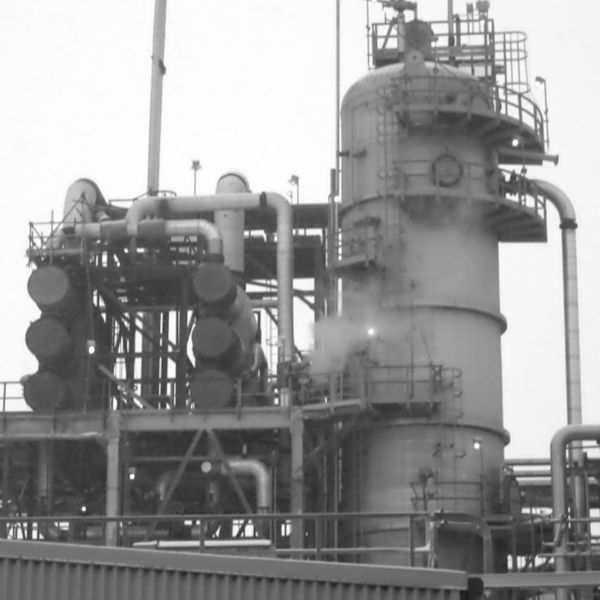 Suncor later introduced the use of cyclones to help clean up the underflow of the IPSs. These stationary cyclones are a lower-maintenance alternative to centrifuges, while still allowing for high g-forces to remove the water and solids. Cyclones also do not require as much power, reducing the facility's operating costs. 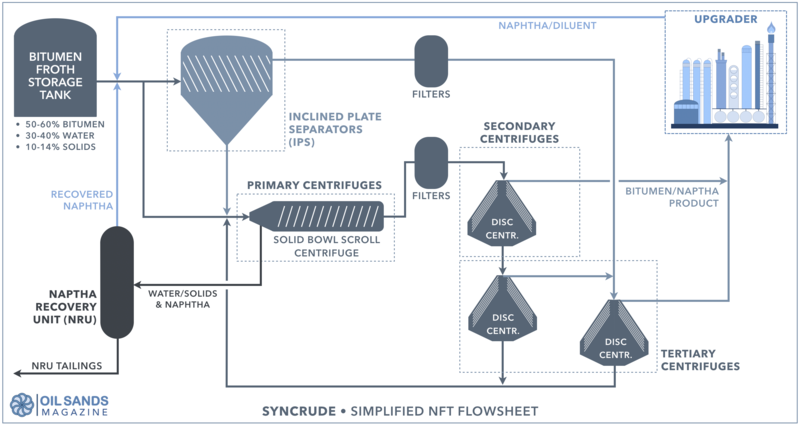 In contrast, Syncrude opted to add a tertiary stage of centrifugation to improve the quality of the diluted bitumen produced at the NFT facility. The newest NFT facility at CNRL Horizon employs a counter-current circuit consisting solely of IPSs and cyclones, without the use of centrifuges or filters. All NFT facilities now produce a product containing less than 2% water and solids, which is processed at adjacent upgraders. All NFT facilities typically operate between 70 and 90°C. Operating at higher temperatures improves separation efficiency due to the lower viscosities observed at the higher temperatures. Operating at 100°C or higher has not been shown to benefit the process. Inclined plate separators are similar in design to lamella clarifiers used in water treatment. Diluted bitumen froth flows through a nest of inclined plates, encouraging solids to settle and producing a relatively clean overflow. Centrifuges rotate a very high speeds, imparting high g-forces to remove solids from the bitumen product. There are 2 types of centrifuges: solid-bowl scroll centrifuges which remove coarse sand and disc nozzle centrifuges which remove finer material. 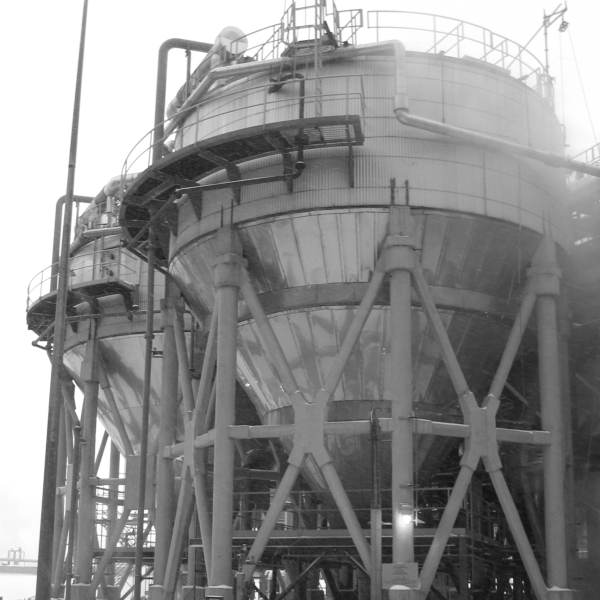 Cyclones are used to break up emulsions that form in the IPS, separating solids and water from diluted bitumen. Cyclones used in NFT facilities are arranged in cyclopacs, very similar in design to those used in traditional mineral processing circuits. NFT facilities produce a tailings stream that contains water, fine solids and residual volumes of naphtha. NRUs are flash columns that recover and recycle the naphtha diluent back to the front end of the process. The naphthenic diluents used in the oil sands are a mixture of aliphatic, naphthenic and aromatic hydrocarbons, comprised of the light end fraction of the naphtha produced by the upgrader. The diluent traditionally used in the oil sands contains a wide range of hydrocarbons in the C5 to C10 range, normally having a viscosity somewhere between gasoline and benzene. Naphthenic diluent, often referred to as just "naphtha", is sourced from the upgrader's Diluent Recovery Unit (DRU). As a general rule, if the diluted bitumen produced by the Froth Treatment plant is low quality (i.e., high in water and solids), the naphtha returned to the NFT plant from the upgrader also tends to be of a lower quality, sometimes containing trace amounts of water and solids. A good quality naphtha should have a low concentration of aromatics, ideally less than 1%. Many operator strive for a heart-cut diluent which has a narrow boiling point range and is low in aromatics and light-ends. This reduces volatile organic compounds (VOC) emissions and makes the diluent less volatile. Naphtha density can vary between 750-800 kg/m3, slightly heavier than the paraffinic solvent used in Paraffinic Froth Treatment (PFT) operations. As a result, the initial boiling point for naphtha ranges anywhere from 60 and 100°C. generally results in more naphtha reporting to the NFT tailings stream, which increases the required capacity of the Naphtha Recovery Unit (NRU) to recover all the naphtha from the tailings. Theoretically, naphthenic diluent can precipitate asphaltenes, only if added in very high concentrations (at N:B ratios in the order of 10:1). At the N:B ratios normally used in the oil sands (about 1:1 or less), all the asphaltenes contained in the bitumen remain in solution. Naphthenic Froth Treatment was the original (and only) technology used to clean bitumen froth for over 30 years at both the Syncrude and Suncor installations. Once Shell commercialized Paraffinic Froth Treatment in 2002, newer facilities now have a choice between two very different processes. Although PFT has some important advantages, NFT also has its benefits. Some key pros and cons of the naphthenic process are listed below. Vessels can operate at lower pressures since naphthenic diluent has a relatively high boiling point at atmospheric pressures (over 60ºC). 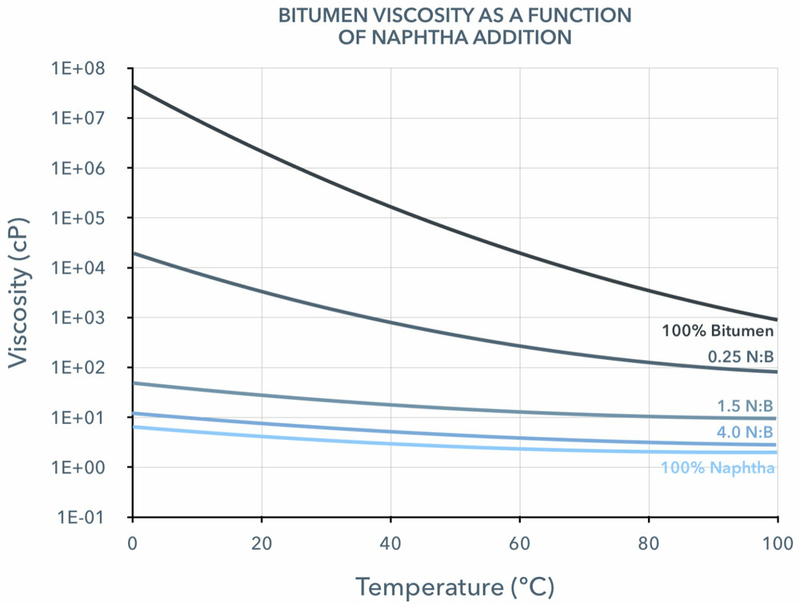 Due to its higher boiling point, naphthenic diluent is less volatile at ambient temperatures, making it easier to prepare equipment for maintenance and reducing risk of ignition. Since no asphaltenes are precipitated, the Bitumen Production plant produces a higher yield than an equivalent PFT process, which precipitates 50% of the asphaltenes contained in the bitumen. NFT facilities recover 98% of the bitumen, as compared to a 90% recovery rate for an equivalent PFT facility. Since no asphaltenes are precipitated, asphaltene handling is not an issue. Since the NFT product is not sold to market, product quality is less critical and does not need to be tightly controlled. 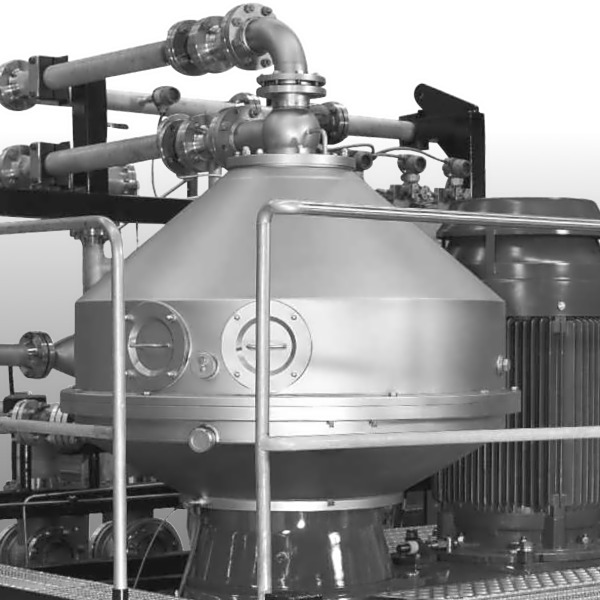 Bitumen/water emulsions which form when naphtha is added to the froth are very stable, requiring equipment that can generate higher g-forces, such as cyclones and centrifuges. NFT facilities therefore require more maintenance and tend to be more complex than an equivalent PFT facility. Due to these very stable emulsions, bitumen product quality tends to be low, still containing at least 1% water and 0.5% solids. The solids and water cause fouling and corrosion of upgrading equipment. Due to the high water/solids content in the bitumen, the product cannot be pipelined very far without significant dilution. Bitumen upgraders are therefore most likely required to be on-site or in very close proximity. NFT bitumen product is generally not marketable and for internal use only. Asphaltene content: unchanged, leaving 17-18% asphaltene in the bitumen. The relatively high water content of NFT bitumen poses the biggest risks to the upgrader. Water carries with it chlorides and other dissolved salts which are very detrimental to upgrading equipment, particularly the catalyst. Ideally, the chloride content of the bitumen should be below 25 ppm, although few processes are able to achieve those targets. The biggest challenge with the NFT process is the highly stable emulsions formed once naphtha is added to the bitumen froth. These water-in-oil emulsions are stabilized by the high concentration of fine clays in the froth and the natural surfactants found in the bitumen (attributed to its high asphaltene content). These very stable emulsions make it difficult to fully separate the water and fines from the bitumen without the help of chemicals additives. Due to these stubborn emulsions, demulsifiers and demineralizers are commonly used as process aids. These chemicals are added at various locations within the circuit, particularly at the front end where diluent is added. In order to break up these stable emulsions, the interfacial film must be destabilized, enabling water droplets to coalesce. Larger droplets are less stable than smaller droplets. As the water droplets get bigger, they break-up, releasing the hydrocarbon and solids. Adding demulsifiers to the process therefore reduces bitumen losses to the underflow of the separation units. Demulsifiers used in the oil sands are blends of surfactants, such as amines, copolymers of ethylene oxide and propylene oxide. The fine solids found in bitumen froth (particularly clays) tend to be oil-wet and act to stabilize the emulsions. In fact, in the absence of clays, very few emulsions tend to form. Demineralizers change the solids from being oil-wet to being water-wet, encouraging them to be released into the water phase. There are 3 NFT facilities currently in service in the oil sands: (1) Suncor Base Plant, (2) Syncrude Mildred Lake and (3) CNRL Horizon. A brief description of each facility is outlined below. The Suncor NFT facility was the first Froth Treatment plant built in the oil sands. The plant originally consisted of centrifuges but Inclined Plate Separators (IPSs) and cyclones were later added to increase capacity and improve the quality of the bitumen. The facility operates at about 80ºC. Temperature control is achieved by heating the froth. The naphtha used in the process is produced by the adjacent upgrader. Naphtha is added to the froth at a ratio of 0.60 to 0.75 to 1 (N:B ratio). The hot diluted froth can either be sent to the IPS/cyclone circuit or directly to the centrifuge plant. Underflow from the IPS is processed through the cyclone circuit. 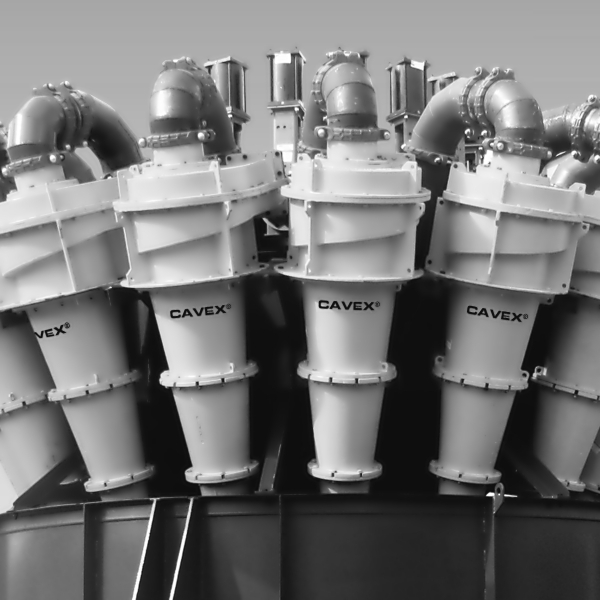 The cyclone plant operates at a higher N:B ratio which improves the removal of water. Cyclone overflow contains mostly water, bitumen and naphtha, which is sent back to the IPS circuit or centrifuge plant for reprocessing. 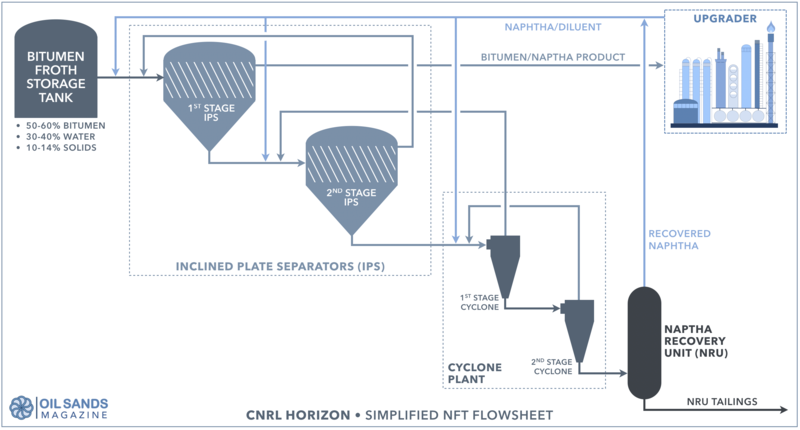 Cyclone underflow, mostly water, solids and naphtha, is processed through the Naphtha Recovery Unit (NRU), where the naphtha is stripped out and recycled back into the process. Naphtha-free tailings are then stored in the tailings pond, where water is later recovered back to the process plant. The centrifuge plant is a two-stage process. The scroll centrifuges remove the coarse solids, after which the material is passed through filters for another step of solids removal. The filtered product is then processed through the disc centrifuges to remove the fine solids and much of the water. Much like the original Suncor NFT plant, the Syncrude facility originally began as a 2-stage centrifuge process. Syncrude later added IPSs to their flowsheet in order to increase capacity. Product from the Syncrude NFT facility had a very high water content, often in excess of 3%. Due to the relatively high chloride content in the water (which is harmful to the upgrader), a tertiary stage of centrifugation was added in order to bring the water content below 1%. The N:B ratio again varies from 0.60 to 0.75, which is typical for all NFT facilities. The process operates at a temperature of about 80ºC controlled by heating the naphtha produced by the adjacent upgrader. Naphtha used at the Syncrude NFT facility is hydrotreated and therefore has a relatively low fraction of aromatics. Most of the diluted froth flow is directed to the IPS circuit, with a lesser portion sent to the centrifuge plant. IPS overflow is filtered and reprocessed in the tertiary centrifuge plant for removal of water by the disc centrifuges. IPS underflow is sent to the primary scroll centrifuges for removal of coarse solids. Product from the scroll centrifuges is filtered and reprocessed in the secondary and tertiary disc centrifuges, for removal of fine solids and water. Underflow products from the tertiary disc centrifuges, which still contains much bitumen and naphtha is sent back to the scroll centrifuges. Underflow from the scroll centrifuges, predominantly solids, water and naphtha is sent to the NRU for naphtha recovery. The naphtha-free tailings, containing mostly water and solids, is sent to the tailings pond for solids storage and water recovery. The Horizon Mine Froth Treatment plant is the most recent NFT facility which took advantage of the many lessons learned from other NFT operators. Research performed in the mid-1990s clearly showed the benefits of a counter-current process, where the last stage runs a very high N:B ratio while the first stage IPS operates closer to the optimal N:B ratio (which is 0.65 to 0.75). 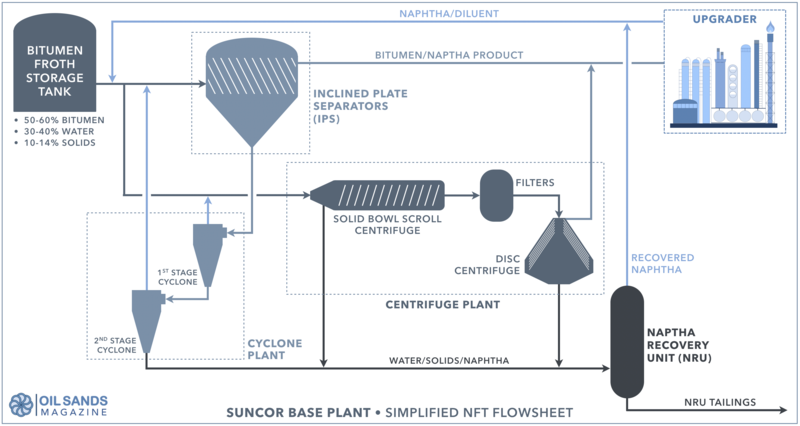 Horizon also chose not to install centrifuges or filters, instead using strictly cyclones for processing IPS underflow, technology adopted from the Suncor flowsheet. This simplifies the NFT plant, reduces maintenance and lowers operating costs. Froth and/or naphtha is heated to achieve the desired process temperature (about 80ºC). The circuit is set-up to operate at an N:B ratio of approximately 0.65 to 0.75 in the first stage IPS. The second stage IPS operates at a higher ratio (above 1.0). The naphtha used at Horizon is also hydrotreated, produced at the adjacent upgrader. The Horizon NFT facility is counter-current. The quantity of bitumen reporting to each underflow is therefore progressively lower. Fresh naphtha is added to each underflow stream, making the N:B ratio progressively higher for each stage of separation. Overflow from each stage is sent back to the previous step. This provides much better cleaning in each subsequent stage of separation. Underflow from the second stage IPS is sent to a 2-stage cyclone circuit. Underflow from the cyclone plant (mostly water, solids and naphtha) is sent to the NRU for naphtha recovery. The naphtha-free tailings are then pumped to the tailings pond for solids storage and water recovery.